Here is a quick update of the SPX/FXA analog study. 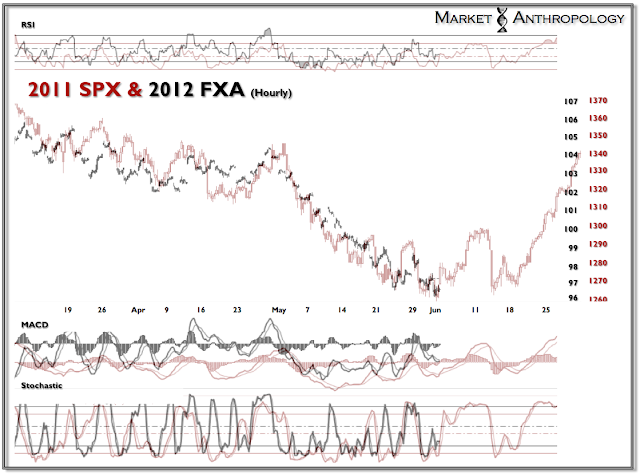 If the analog continues to follow script - the markets should find an appetite for risk early next week. For more information on this structural and momentum analog, see Here.